In Wari, exactly at “Tati Bazar Mor (তাঁতি বাজার মোড়)”, there is a lovely place inside a boundary which is called “Nogore Nishorgo”. This initiative had been taken by the Bangladesh government as a process of embellishment the Dhaka City. 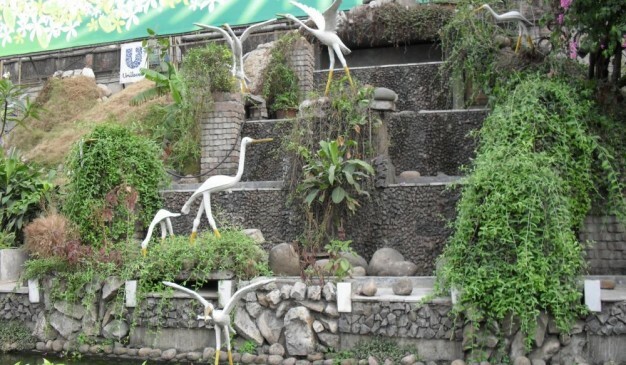 It is hard to find any beauty at this Dhaka city, almost no sign of green. Authority just wanted to give some green flavor by creating some artificial structures of this park. Vinno Jogot is a famous non-natural Place in Bangladesh. It is in Rangpur district which about 100 acresacres.Vinno Jogot beautify by many rides. This place take you a daydream world. 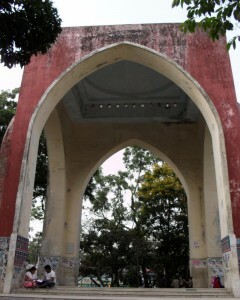 Located on the Rangpur-Dinajpur Highway, the park is just 15km from the city of Rangpur,in a village named Paglapir. Beyond the massive walls of the entrance, lies a beautiful landscaped gardens, walkways, lakes, statues and plenty of adventure rides. Whatever you see inside the park, all are handmade. Vinno Jogot provides you the facilities of a 3 star hotel/resort Dream Place in a fantastic location surrounded by water pools and a mosque by its side.Vinno Jogot offers hotel packages to visitors. Visitors with their near and dear ones can stay and enjoy nightsinVinno Jogot. Vinno Jogotprovides presidential suite, executive suite, & deluxe suite of economy and super economy classes. 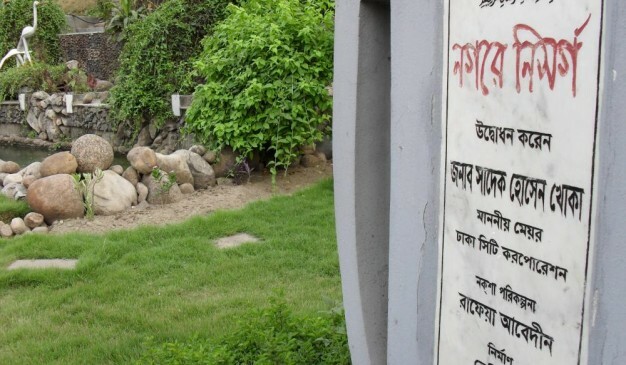 The Bangabandhu Jamuna Eco Park in Sirajganj, which could become a lucrative spot pulling in local and foreign tourists, has been in a sorry state for years. The park, about 125 kilometres north-west of Dhaka, has over 50 varieties of timber, fruit and medicinal trees and a zoo, but fails to draw many tourists due to a lack of necessary facilities and publicity, said visitors and officials concerned. The 600-acre park on the western end of Jamuna bridge at Soydabad in the district was opened to public in 2008, but the authorities have not taken any initiatives to attract tourists. During a recent visit, this correspondent found the park in a state of neglect, with only a handful of visitors. The park has a small zoo with only four cages that accommodate only two sick porcupines and a few monkeys and hares. 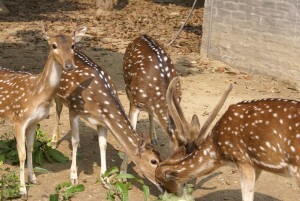 Seven spotted deer were released into the park when it was opened, and their numbers redoubled in five years. But the animals have been suffering due to a severe shortage of drinking water, with no ponds dug in the forest, sources said. Ibrahim Khalil, in-charge of the park’s wildlife and c, said there were two peacocks in the park, but they were shifted to Dhaka after they fell sick a few months ago. “Visitors, especially children, love to see animals and birds. Therefore, more of these creatures could be brought to the zoo,” Khalil said, adding the government could earn huge revenues from the park if it was taken care of. 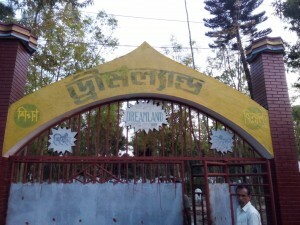 Dreamland is the most prominent park of Gaibandha district. 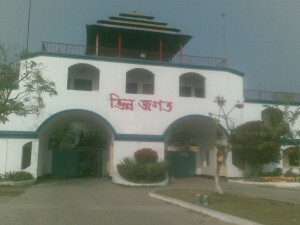 It is located at Palashbari Upazila. A businessman, Nuronnobi Chan Mia built this park. People from different districts come here to visit this park. Different species of trees are planted here. For children many kinds of funny sculpture(ভাস্কর্য) are also available here . Here you can see a lot of sculptures of great person around the world. Besides,the sculptures of our national heroes are also built here. Among them AK Fazlul Hoque, Hossain Shaheed Sahrawardy (হুসাইন শহীদ সোহরাওয়ার্দী), Mawlana Abdul Hamid Khan Bhasani, Bangabandho Sheikh Mujibur Rahman, Ziaur Rahman, Bangabir M.A.G. Osmani (বঙ্গবীর এম. এ. জি. ওসমানী), Tajuddin Ahmed, Nazrul Islam, Munsur ali, kamrujjaman etc are notable. Here you can see stunning sculpture of Rabindranath Tagore, Kazi Nazrul Islam, Begum Rokeya, Michael Madhusudan Datta (মাইকেল মধুসুদন দত্ত) etc. You may also see the sculptures of great scientist, Such as Sir Jagadish Chandra Bose (স্যার জগদীশ চন্দ্র বসু), John Beard (জন বেয়ার্ড), Michael Faraday (মাইকেল ফ্যারাডে), Alexander Graham Bell (আলেকজাণ্ডার গ্রাহায়েম বেল), Marconi (মার্কনী). Eid, Puja, Pahela Boishakh, Independence day, Victory Day and in other different festivals, many people gather in this place. I was at "Tati Bazar Mor". There is a lovely place inside a boundary which is called "Nogore Nishorgo".